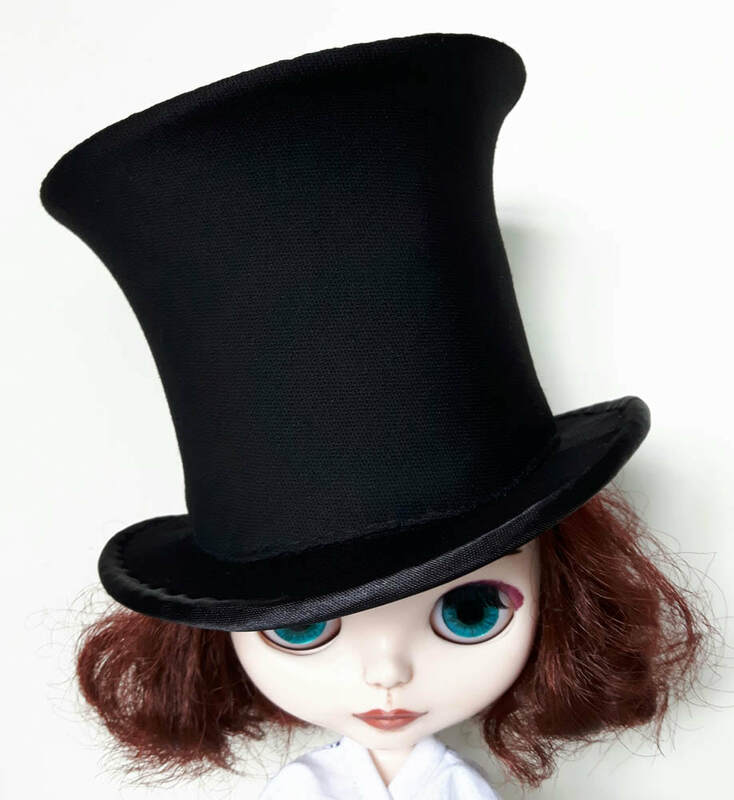 The Blythe-size top hat (left) was a commission for someone who wanted a Mad Hatter-style hat for a custom Blythe she's working on. 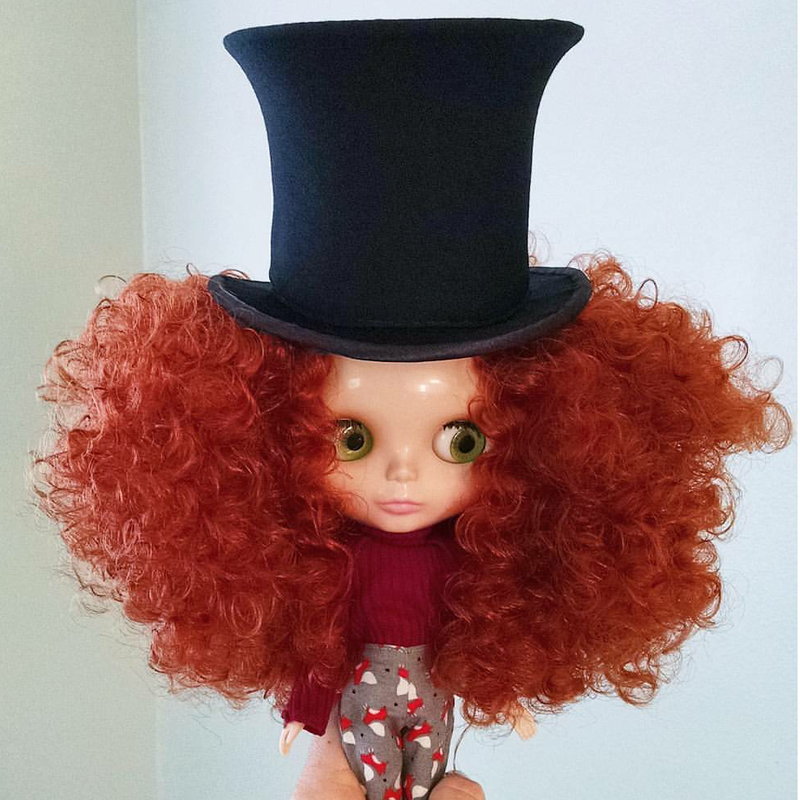 Modelled by my Blythe, Sadie (left), and her Blythe (right); the customer was going to add ribbons to it herself. 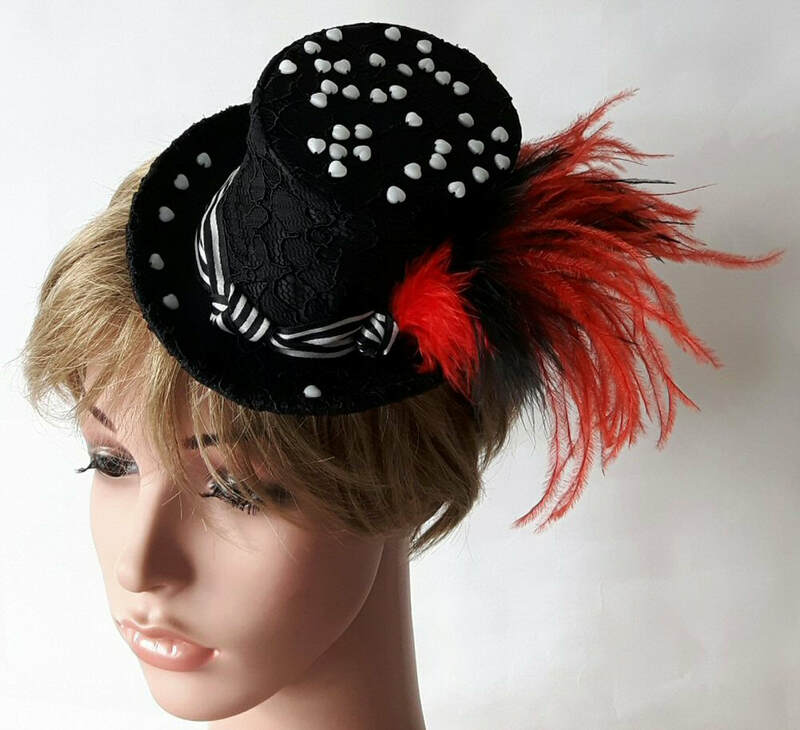 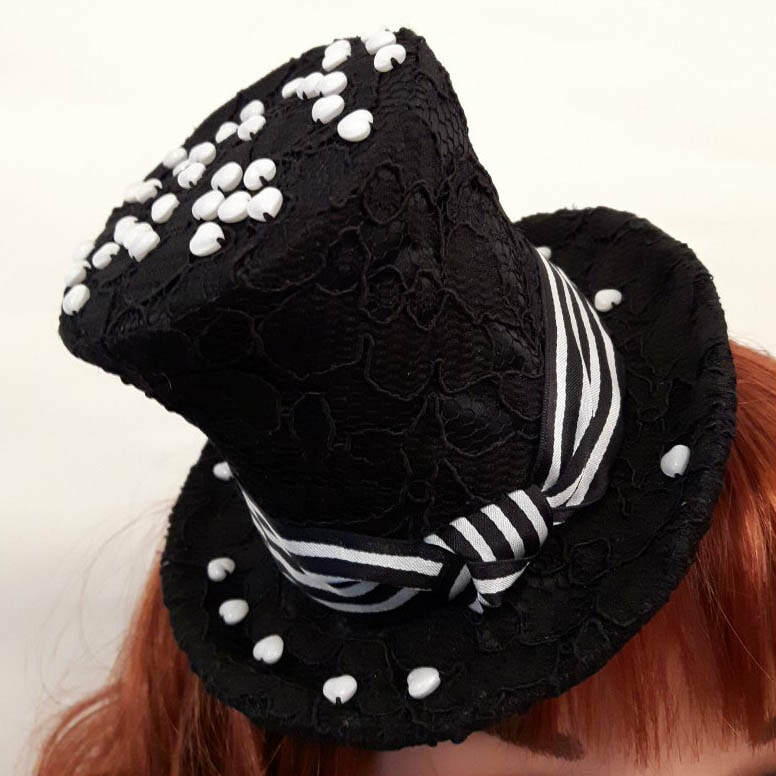 ​This 'Night Circus'-inspired mini-topper (far left) was in my Etsy shop and a customer asked if I could add a feather pompom to it (near left). 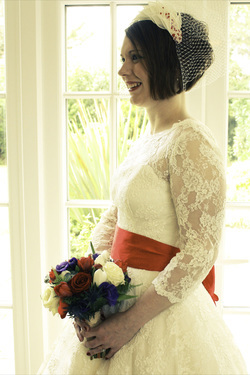 A 1950s-inspired bespoke headpiece with hand-rolled organdie petals and clusters of hand-sewn red Czech fire-polished beads (to match the bride's red shoes and sash) and Czech glass pearls, on a Paris net base. 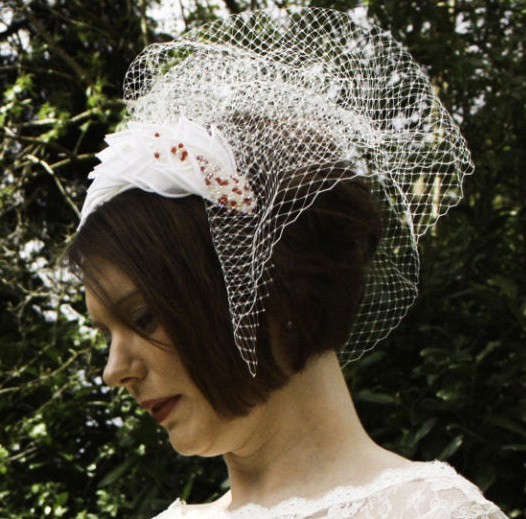 Other commissions have included bespoke fascinators and silk peony brooch accessories made to match mother-of-the-bride/ mother-of-the-groom and other wedding outfits, and a silk peony & Swarowski pearl necklace.